I was alerted to the WikiLeaks of Sony emails early yesterday. I had a seven hour mock of the State Bar of California FYLSX exam yesterday, and have a lot of studying to do today, so I don't have much time. 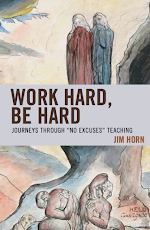 That said, the leaks are devastating in that they prove unequivocally that the billionaires, ideologues, charter executives, and their school board candidates all work together for their common cause of eliminating public education (and profiting thereof). and it confirms that we have been correct all along in our assertion that this is a well coordinated project by the ruling class (or 1% if you prefer), and their hangers on. establishing Jamie Alter Lynton's husband Michael Lynton, Sony CEO, cashed in big on the major corporate player in the disgraced John Deasy's iPad scandal, Pearson PLC. I am putting out both a call for help, and an assertion that we all need to writing about this. Both charter profiteer Ref Rodriguez, and longtime neoliberal corporate education reformer Tamar Galatzan have insurmountable funding advantages in this upcoming election, and it is the individuals discussed in this email that are bankrolling them. Here's what I need help with, and following that, is a few items that will help others with research and writing their own articles. Someone to go through all of Rodriguez and Galatzan's current 460 Forms looking for contributions by Jamie Alter Lynton and Michael Lynton. Doing the same for the various Independent Expenditures for this election. A time table of Deasy's iPad fiasco, including the attacks on Stuart Magruder, and when Annie Gilbertson wrote her brilliant articles about Deasy's inappropriate relations with Pearson and Apple executives. 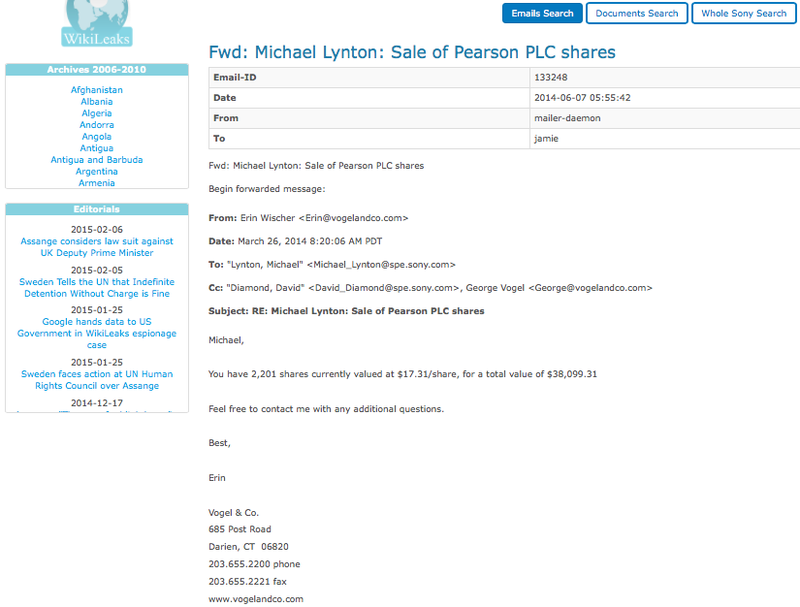 If the Lyntons are trying to sell off $38,099.31 of Pearson PLC shares in March 2014, is that tantamount to insider trading, given their relationship with Deasy? Someone to go through all of Rodriguez and Galatzan's current 460 Forms looking for contributions by anyone on this list https://wikileaks.org/sony/emails/emailid/117253. Figures of how much LAUSD bond money was squandered in the Pearson deal. Statement from https://www.facebook.com/pages/Repairs-Not-IPads/228827333958584 Repairs not iPads representatives on their thoughts on these latest developments. Here's some helpful information for other people's articles and research. Jamie Alter Lynton has supported the Coalition for School Reform (CSR) and its candidates—including Galatzan—in the past with obscene sums like $100,000. 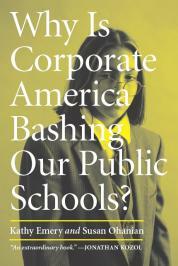 CSR was an anti-public education SuperPAC started in conjunction with right-wing extremists Philip Anschutz, Jerry Perenchio, Eli Broad, and Frank Baxter. These plutocrats are now funding California Charter Schools Association (CCSA) and its associated SuperPAC directly. For more on CSR. 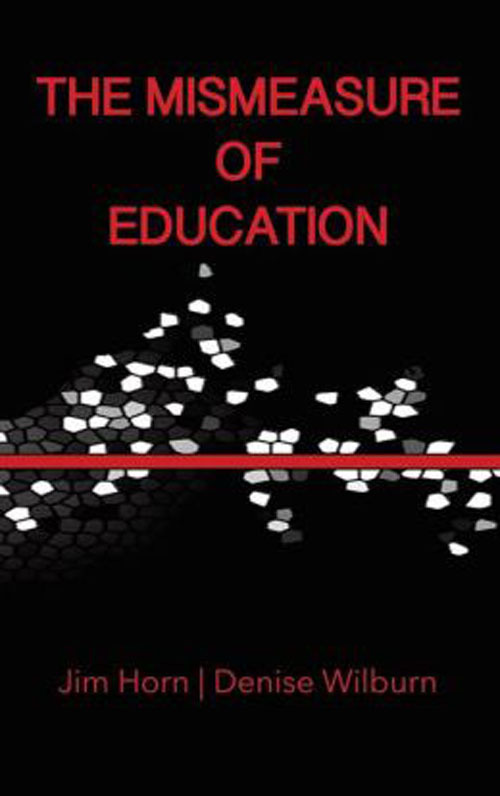 The second issue is that the link in Johnson’s tweet is to the notorious Deasy School Report*, an anti-public education blog created by Jamie Alter-Lynton, a wealthy reactionary who sits as a board member on Superintendent John Deasy’s LA Fund slush 501c3. Alter-Lynton, sibling of corrupt charter cheerleader Jonathan Alter, practices Breitbart style “journalism” — feeling that outlets like the LA Times and LA Daily News weren’t planted in the the neoliberal corporate reform camp firmly enough. Her Ayn Rand leaning views on the public sector are second to her almost maniacal hatred of working class schoolteachers. One can really gauge Alter-Lynton by her letting go of both Alexander Russo and Hillel Aron. Neither of those writers would ever be accused of supporting public schools or saying anything positive about teachers, but they weren’t willing to pursue the white whale with Alter-Lynton’s Ahab-like vengeance. 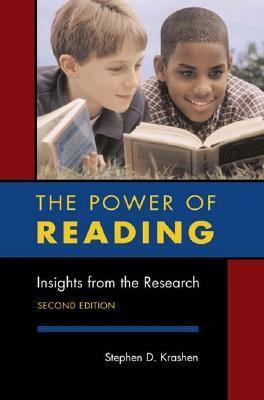 The distinguished Dr. George McKenna owes nothing to Alex Johnson, the Deasy School Report, or Jamie Alter-Lynton. He is right not to respond to her constant badgering and attention seeking. The best thing we could all do is allow Alter-Lynton’s me-too-reformer blog die a deserved death of obscurity by not visiting or linking to it. 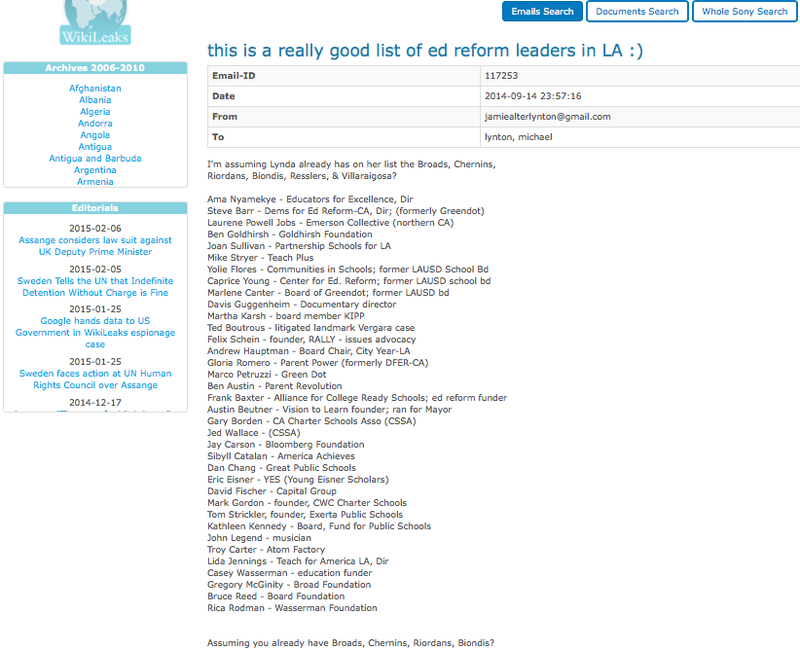 * Properly “LA School Report,” but most activists don’t call it by that very misleading name. I don't think it accurate to classify Eli Broad as a "right-wing extremist" (not sure about the others mentioned). Although I agree that his meddling in education has been absolutely terrible, other causes he has contributed to have been issues considered "liberal", such as gun control and stem cell research. Just pointing that out for the sake of accuracy, although he has been terrible for education in the country, especially LA.